Made in the heart of the Bas Armagnac region, there is a complex bouquet of vanilla, coffee and rancio. In the mouth, the ample attack leads to concentrated, powerful, strong flavours. Liquorice, wood and pepper emerge on the palate. An important persistence of flavours and aromas stays in the mouth after drinking this Armagnac. 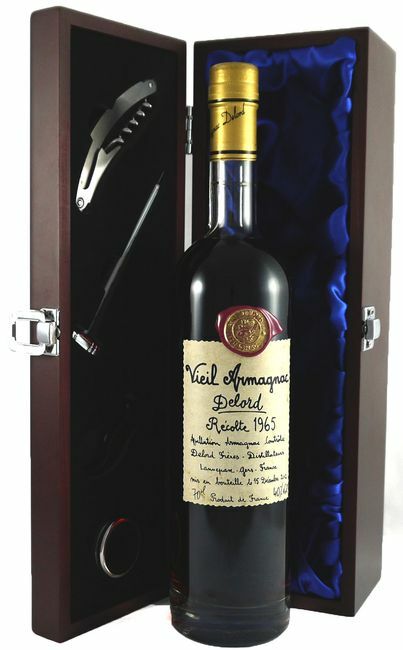 This wonderful armagnac makes an ideal gift for someone born in 1965.